Yao-Yueh Tseng was born in Luodong, Yilan in 1999 and began to play the piano at age seven. At sixteen, he enrolled in New Taipei Senior High School where he has been studying with Lai Li Chin since 2014. Currently he is studying piano performance with Michael Lewin in Boston Conservatory at Berklee. He has participated in numerous competitions and has received many prizes and honors, including 3rd prize at the Taipei Musical Competition (2009); 2nd prize at the Taiwan Music Competition (2010); 1st prize at the National Baroque Competition (2011); 4th prize at the Japan classical competition (2012); 1st prize at Taipei Musical Competition (2013); 2nd prize at Taiwan Music Competition (2013); 1st prize at the National Piano Trio Musical Competition, where he performed the Brahms trio; 2nd prize at the Piara Piano Competition, and he was the grand prize winner of the NTSH Concerto Competition where he performed Beethoven’s 1st Piano Concerto with the NTSH orchestra. 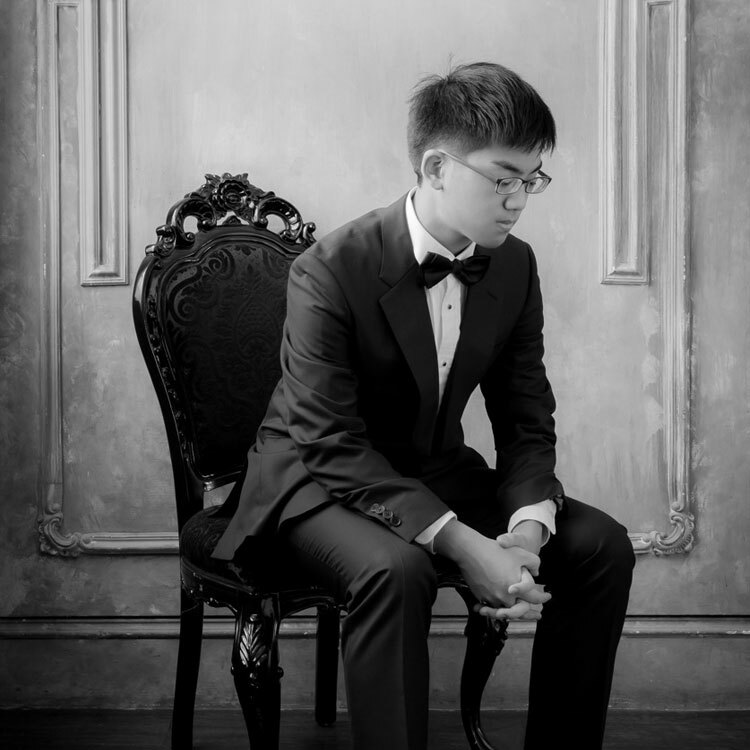 In addition to his many competitions wins in Asia, YaoYueh has succeeded in the Americas as well, receiving a generous scholarship to attend the prestigious Eastern Music Festival (EMF) in the United States in 2015, where he studied under Awadagin Pratt, and clinched 2nd prize at the EMF piano competition. Subsequently, he attended EMF again and won its International Concerto Competition, playing Prokofiev’s 3rd Concerto with the Eastern Music Festival Orchestra. He is currently a freshman on full scholarship at Boston Conservatory at Berklee, studying with Michael Lewin.